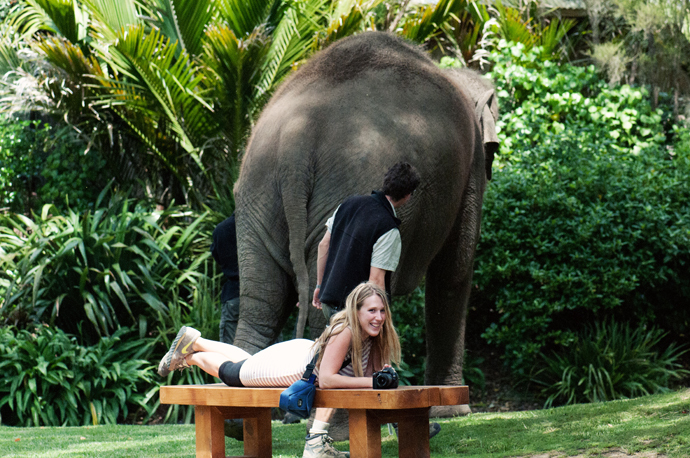 Burma, Auckland zoo‘s only elephant. 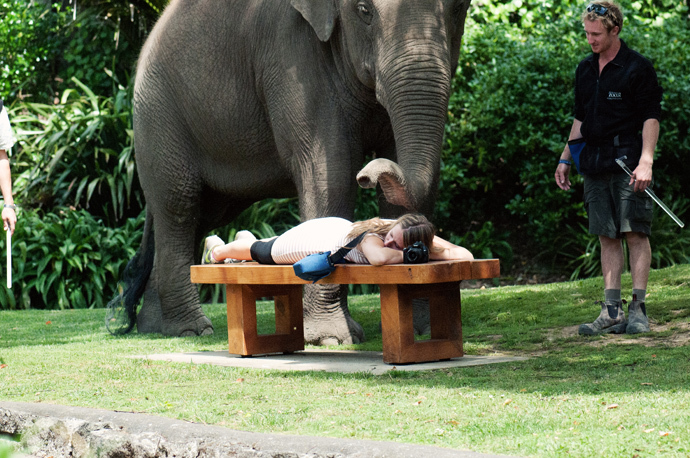 I was lounging on the bench during the 5 hour zoo trip, very relaxed. Heard a noise and looked to my right to find a massive elephant trunk. The elephant keepers walk Burma daily around the zoo.